JCFCU deposit accounts are the beginning of any financial relationship. We offer a variety of accounts that will help you reach your savings goals as well provide you with easy access and transactional capability. A share savings account is a basic account that establishes your membership in the credit union. Credit unions are different from banks because every account holder is an owner of the institution, therefore, this account represents your “share” of the credit union. Each member is required to have a share savings account in order to be eligible for any other JCFCU products or services. Share savings accounts pay dividends, similar to interest on a bank savings account. Dividends are paid at the discretion of the board of directors. * Minimum opening deposit of $5.00 is based on setup of automatic deposit such as payroll deduction/direct deposit. Without automatic deposit, minimum opening balance is $100.00. Unlike a savings account, which has limits on how often you can make certain types of withdrawals, a share draft account allows members to make frequent withdrawals and payments. This is a traditional checking account and is a good place for your everyday spending money. Download CardValet from the App Store or Google Play. Need to order checks? - Click the button below! * Free first order includes basic, non-premium, checks. A Share Certificate is similar to a certificate of deposit (CD) issued by a bank. This account pays a guaranteed dividend if held for a specific period or term. Funds are not "liquid" and a penalty is assessed if any portion of the principal is withdrawn before maturity. Share certificates typically earn higher dividends than a regular savings, checking or money market account. Saving is easier when you have a goal and/or purpose in mind. A Club Account is simply a special short-term savings account set up to allow members to prepare for a pre-determined event. Club Accounts can help you save for holiday gifts, vacations, taxes, or any other goal you may have. Put aside a little bit each pay period and earn the same great rates as Share Savings. You can save as much as you want each pay period. Deposits can be made by mail, in person, or through convenient direct deposit or payroll deduction. Your funds may be withdrawn upon request. Contact us to get your Club Account started. It's never too early to get your child started on the path toward a sound financial future. 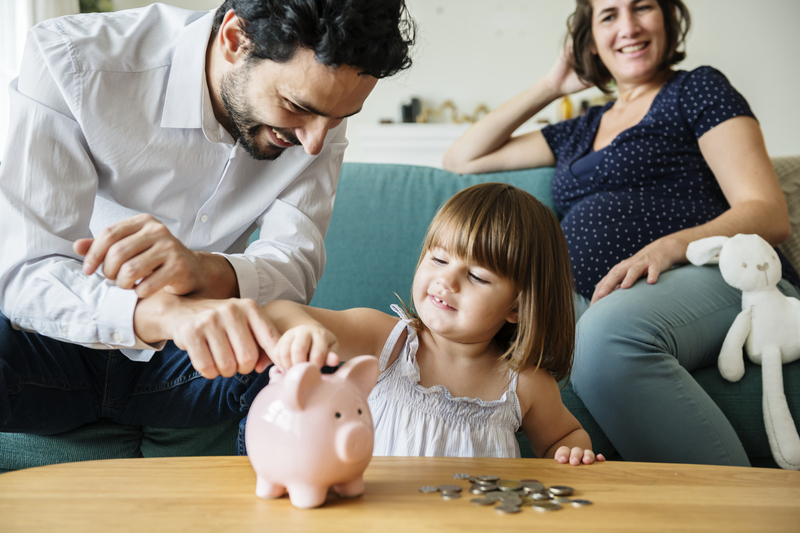 By introducing kids to financial matters early, you'll help them understand the concept of money and how it works.